"Polio is the thing I spend the most time on. Every day I look at my email to see if we have a new case," Gates said. "I'm very inspired to be a part of this. I'm also very humbled." 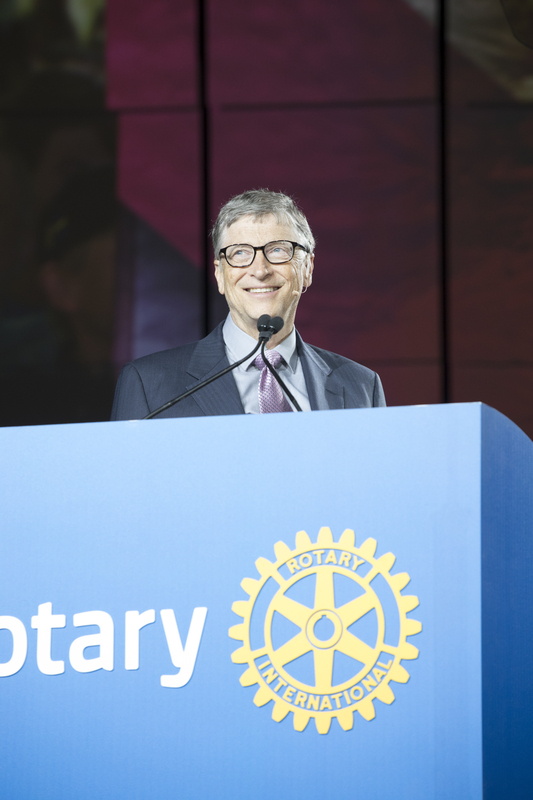 "It is this talent for generating new ideas, learning lessons, and adapting them to new circumstances that makes me optimistic we will get to zero,” Bill Gates said at the Rotary International Convention in Atlanta. John Cena, WWE Superstar, actor, and Rotary polio ambassador, emceed the pledging moment at the general session and applauded Rotary for its determination. "You were the trailblazers who wanted to prove to the world that this insurmountable task could be done," Cena said.